Automation More comming soon MTConnect mapped their information modell into OPC UA and thus became portable. Oil and Gas More comming soon The SLC (Standards Leadership Council) was formed in 2012 by nine standards organizations serving the oil and gas industry to avoid duplication in development projects through collaboration. Its goals are to assist member organizations in determining business value metrics for standards adoption and maintaining financial sustainability. The Council includes Energistics, MIMOSA, Open Geospatial Consortium, OPC Foundation, PIDX International, Pipeline Open Data Standard, POSC Caesar Association, Professional Petroleum Data Management Association and the Society of Exploration Geophysicists. Oil and Gas More comming soon DSATS (Drilling System Automation Technical Section), of the Society of Petroleum Engineers (SPE), recommends guidelines to allow open and secure communication between rig control systems, applicable surface and down-hole measurements and authorized third parties. Participating OPC suppliers and end-users are developing a comprehensive roadmap for Drilling Systems Automation that will incorporate best practices, lessons learned, standards and solutions. This roadmap or guideline will identify the objects and corresponding attribute/metadata that span all automation components within a drilling system. OPC UA is the communication protocol for connecting these devices and applications. Oil and Gas More comming soon Energistics is a global consortium that facilitates the development, management and adoption of data exchange standards for the upstream oil and gas industry. PRODML (Production Markup Language) is a family of XML and web services-based standards from Energistics and its PRODML Special Interest Group (PRODML SIG). The OPC Foundation is collaborating with Energistics to develop an OPC UA companion specification that provides a mapping of the PRODML data and information models. Oil and Gas More comming soon MDIS is an international industry network group whose primary mission is to optimize the Master Control System (MCS) and Distributed Control System (DCS) interface of topside systems in oil and gas production. Its members consists of major oil producers and refiners, automation suppliers and DCS vendors.MDIS has selected OPC UA as the protocol standard for MCS and DCS, and is currently developing the architecture and objects that will be mapped into the OPC UA Information model. As with the SLC collaboration above, the Foundation’s engagement with MDIS exposes OPC technology into other organizations with similarly complex information models, resulting in opportunities for expansion into new markets. Standardization More details comming soon W3C collaborates together with OPC Foundation to standardize semantic information models. Security More details comming soon M2M Alliance collaborates together with OPC Foundation to guarantee an end-to-end security environment. 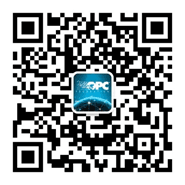 The OPC Foundation brings in OPC UA stack: Security for industrial end-to-end solutions on protocol & application level – the stack and spec have been reviewed by German BSI. The M2M Alliance delivers experience on M2M applications (SIM-based), Smartcard projects and Healthcard projects with real world PKI-solutions including the integration of backend systems. Standardization More details comming soon Industrial Data Space. Standardization More details comming soon ISA 95 is the international standard for the integration of enterprise and control systems. ISA-95 consists of models and terminology that can be used to determine which information has to be exchanged between systems for sales, finance and logistics and systems for production, maintenance and quality..